Djam, a young Greek woman, is sent to Istanbul by her uncle Kakourgos, a former sailor with a passion for Rebetiko, to find a rare part that will repair their boat. In Istanbul, she encounters Avril, a nineteen-year-old French girl, alone and without any money, who came to Turkey as a voluntary worker with refugees. Djam, generous, cheeky, unpredictable, and free-spirited, takes Avril under her wing on the way to Mytilene. A journey filled with encounters, music, sharing, and hope. 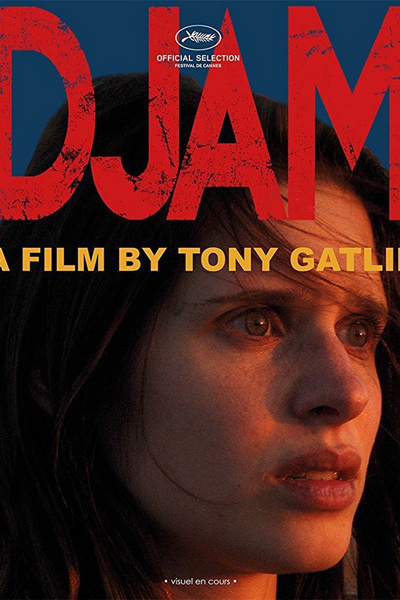 Djam, the latest film by Tony Gatlif, which gave rise to a great evening of film and a concert on the Croisette at the 70th Cannes Film Festival, is the name of a woman (played marvellously by Daphne Patakia), a Greek girl who is beautiful, insolent, always at ease, fun, dances like an irresistible Salome and sends her songs, that are full of passion and melancholy, straight to the heart. The writer of Gadjo Dilo and Exiles could not have chosen a better guide – because it is impossible not to be left enraptured by this bright heroine – to show us this traditional form of Greek music called rebetiko, which he himself has been listening to for some time, a type of music which is rhythmic yet captivating, painful yet rebellious, and which takes hold of you and passionately drags you through subversive lyrics that speak of and to the people, that protest against power, money and all those who don’t know how to love. It’s a type of song that is soaked in its culture. It’s visceral, and we get to know it by Djam’s side, as her beloved step-father has sent her from Lesbos to Istanbul to have a shaft on his boat fixed and to carry out some other small tasks that give her getaway a fairytale feel. Djam is the incarnation of the spirit of rebetiko. Free and self-assured, she lives as she pleases and her joy is simple as it starts over with every song, which is always an occasion for sharing, although the analogy goes further with Greek song. Through this character who emanates purity, who goes around wearing nothing under her skirt, on the burning roofs where she walks and sleeps at night, under the stars, Gatlif also wanted – he explains, resentful of the regression of the female condition since the end of the 1960s – to give women back an independence that is being taken away from them. If Djam doesn’t worry about not wearing pants, or being brazen, it is because she doesn’t have to. She doesn’t only know who she is, but, as Prévert would say, she is who she is, does what she wants and doesn’t hide it, and it’s just as well because that’s how we like her.